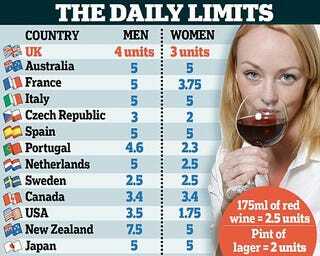 Do You Know Your Daily Recommended Drinking Limit? "You've heard it over and over again: It's best for women to limit their alcohol intake to one drink per day. If you've ever found this health rule to be boring and ultra-conservative, wait until you see how the U.S. stacks up with other countries…"